Dragon Ball Xenoverse 2 is the latest entry in the Dragon Ball franchise. In the previous game, you had to save the universe from enemies, the successor is no different. If you have not played the first part, you simply set a generic character, which can be equipped with further attacks and clothes. If you want to unlock bonuses as well as keep your well-known attacks, Dragonball Xenoverse 2 offers to import / transfer your old character. In this guide we will show you how the transfer works. - First you must go to Conton City and search the NPC Supreme Kai of Time. - Talk to him and vote for Time Patrol, to start the first parallel quest. - Now complete your first battle. In the end, the Kai will take you to the city center. In the next screen, you'll be looking for your own fighter. The top of the list should be your old fighter. - Confirm now to see what clothes, skills, Zeni and medals can be taken. However, the character import has a shortcoming: You cannot go directly with your old hero. Rather, he gets a prominent place in the town center, so that he can be cheered by everyone in the city. However, your new fighter receives the attacks and clothes. Only those attacks and clothes, which your hero from Xenoverse 1 had equipped, will be transferred. If you want to give your new fighter strong extras, you should start Xenoverse 1 again and modify your past hero. In addition, you should make sure that the past hero has the same race as the successor. Only then you can use all the extras for the new fighter. With each transfer you will receive a few medals, which will be introduced in Xenoverse 2. They are considered a bonus, which you free up by the import. As mentioned, you should start Xenoverse 1 before the transfer and watch the entire character. Check if you have skills that cannot be transferred and equip the fighter with the best clothes, etc. Then you can transfer the character. On the PS 4 and the Xbox One the transfer cannot be reversed! If an error has occurred, you have to simply continue with Xenoverse 2 and cannot start the import again. We tested the whole thing on the PS. As soon as you restart Xenoverse 2, your old character, which you have already imported, is simply transferred again - you can choose nothing more. What we have not tried so far is that you simply delete the memory of Xenoverse 2 completely. If you have not progressed so far, you can try this method. 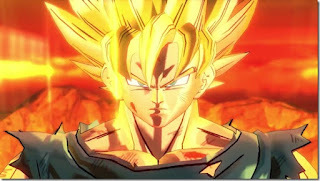 - Start Xenoverse 2 and wait for the menu screen to ask you to press any key. - Press Alt key and Tab (alternatively, the Windows key) and click on the Explorer to display your folders. - Search for the Xenoverse 2 order: Steam \ userdata \ USER-ID \ 323470 \ remote. The user ID is your Steam number. Usually you will find here only one folder. - Copy the folder DBXV2 to another location, so you have a backup. - Now delete the folder and press Alt Tab again to go to the start screen of Xenoverse 2. - Now your entire progress is deleted and you can import a character again. But remember, you have to go through the tutorial first. - The trick does not work for some users. They report that they had to delete the Savegame still in the animated intro before the start screen. Remember, you can not transfer some forms of your XV1 character. If your time warrior is naked after the transfer, it could be because some slots of the character are empty. So fill all the slots with clothes.